A juxtaposition between high quality materials, delicate and detailed craftsmanship, and unabashed destruction. 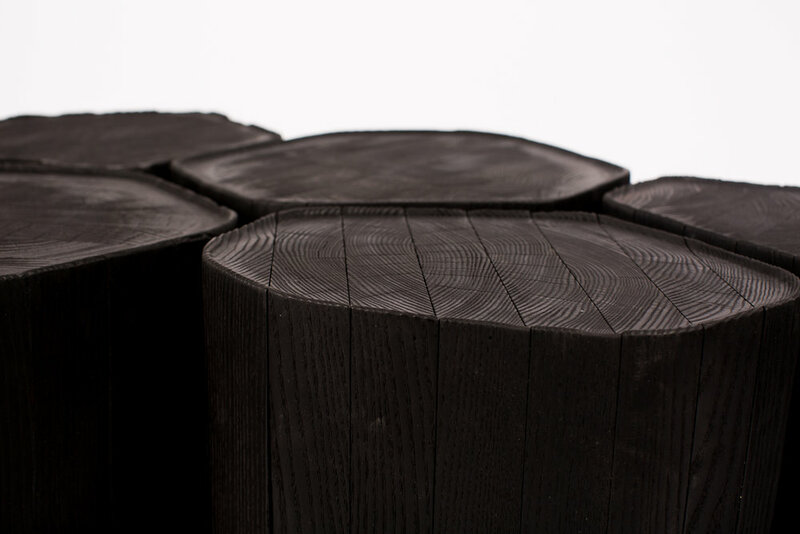 These nesting tables begin as milled solid Ash lumber. 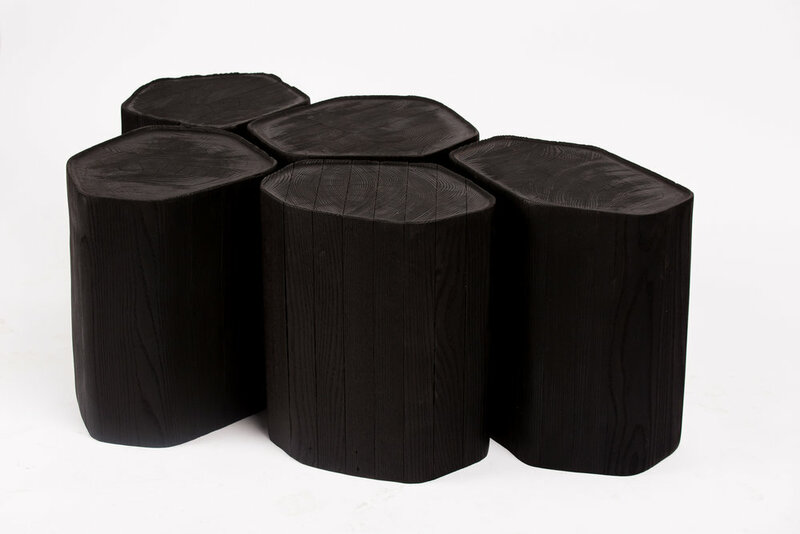 Individual members are glued together to create "stumps", then carefully shaped, leveled, top-dished and smoothed. They're then set ablaze to produce their dark, carbon finish and imperfect edges. Custom sizing available, as well as a natural, non-charred version.